We all like something. There will always be things that you'll see and then you'll be like, Okay that's cool. 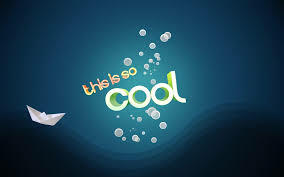 The word 'cool' could be defined as good, excellent, interesting, fun etc. But, what goes inside that beautiful mind of yours when you brand someone or something as cool. Have you ever wondered, why you like what you like. 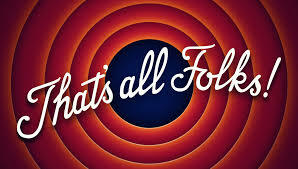 If you did and couldn't find an answer, then we at LaPercy have an answer for you. So, why do we like more familiar things better? For songs, it doesn't matter much. Lots of songs are pretty, and if you hear them a few times, you will like them. So, it isn't obvious why familiarity should affect how much you like songs.The cognitive system uses familiarity as a way to judge that something is relatively safe. Let's think first about what happens when you encounter something unpleasant.If you are exposed to something unpleasant, then you have a very negative reaction to it. You might feel pain, or get scared by it, or feel disgusted. 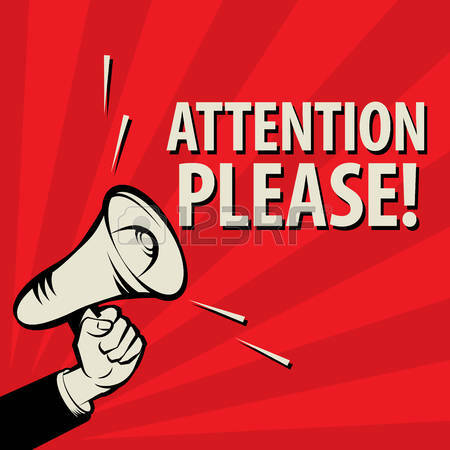 The cognitive system is very good at storing information about these unpleasant experiences, so the next time you encounter that thing again, you immediately get a signal to avoid it. 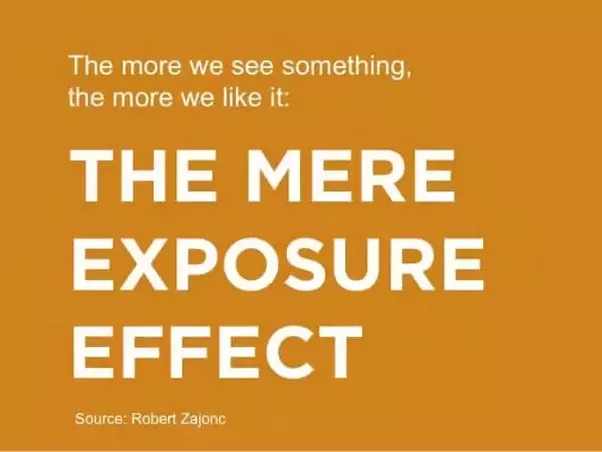 In psychology, the term used explain this is called Mere-Exposure effect. This is basically a phenomenon where people feel a preference for people or things simply because they are familiar. 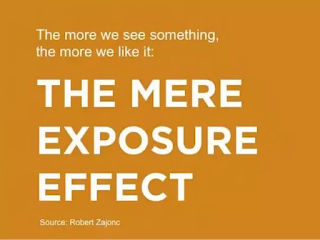 Also known as the exposure effect and the familiarity principle. This is interesting because it has no basis in logic. Just because we see a stranger occasionally does not make them any more trustworthy, we just feel like they are because we “know” them. Sounds simple, right. 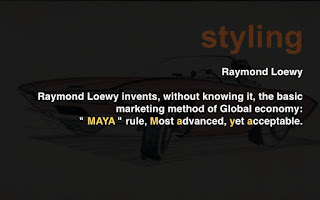 Another concept to explain this, was given by Raymond Loewy. His theory is called MAYA. He believed that people are torn between two opposing forces: neophilia, a curiosity about new things; and neophobia, a fear of anything too new. As a result, they gravitate to products that are bold, but instantly comprehensible. 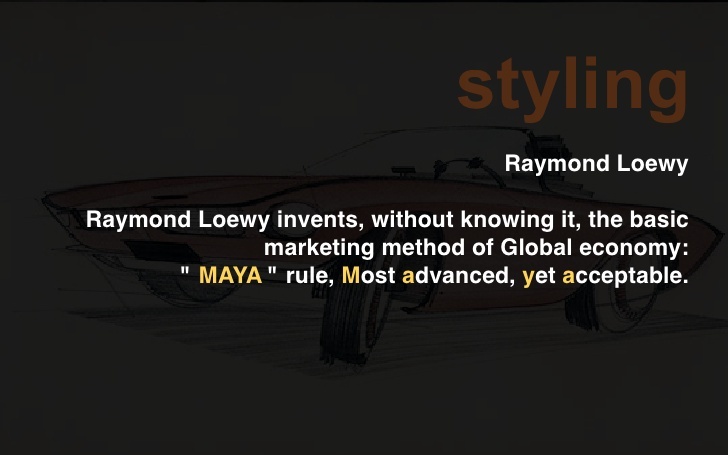 Loewy called his grand theory “Most Advanced Yet Acceptable” (MAYA). He said to sell something surprising, make it familiar, and to sell something familiar, make it surprising. Author's Comment: Being awestruck is another one of the intense emotions that can bring out dimorphous expressions. It’s easy for us to fall into the trap of thinking that emotions are just physiological responses to external stimuli, and that we all pretty much have exactly the same sort of responses and these are primarily happening in our body, but actually, they’re not. Emotions are much more flexible and malleable things, and they are happening in conversation with the way we think about what they are, and how we name them, and how we make sense of them. There’s plenty of precedent for the idea that finding something new that you love a great deal could throw you off kilter. If you want to know more, here's a video to explain it. 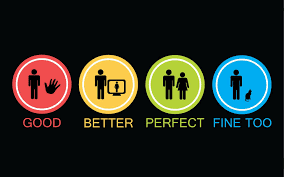 Are you as good as you think? 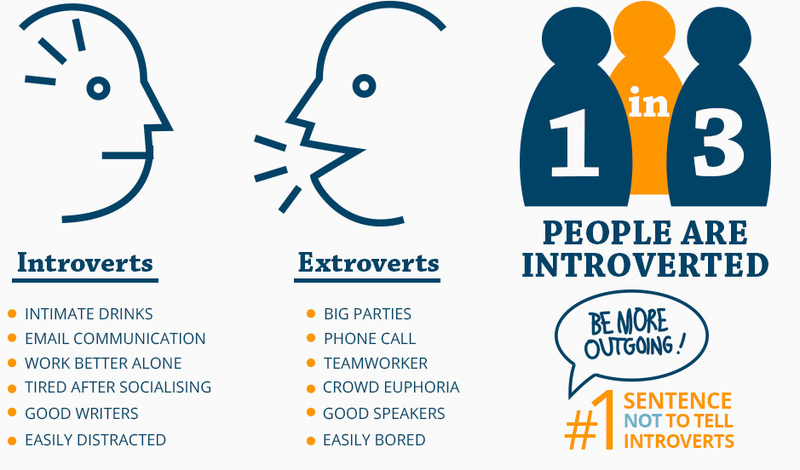 How healthy are you as compared to the people you know? Are you better at the things that you do? I'm sure you have had these questions at some point in your life. So, if you are like most of the people you think you are pretty good at some things and you are able to admit you are less good at others. You likely shake your head in pity at people you see as, stupid. You feel like Sheldon Cooper and think why do they keep doing dumb things all the time. You ask yourself why don't they understand they are bad at people stuff. 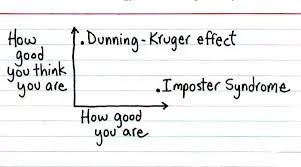 Well, we at Lapercy have an answer for you, and that is the Dunning Kruger effect. 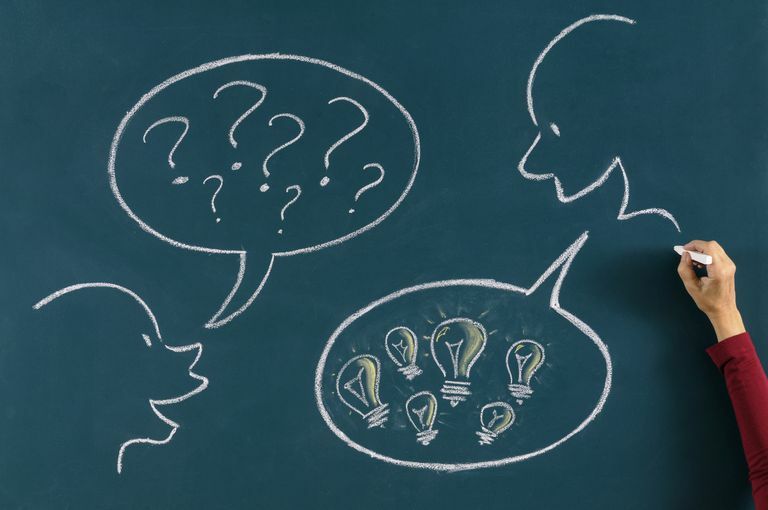 Even if you've never heard of the Dunning-Kruger effect, you've definitely seen it in action. The inexperienced politician with strong opinions about global affairs, the celebrity on an anti-science crusade, the self-proclaimed stock-market expert that loses money left and right. 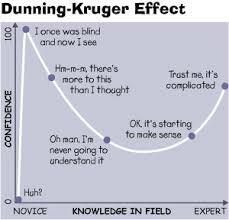 The Dunning-Kruger effect is the strange phenomenon that makes unskilled or uneducated people overestimate their abilities. 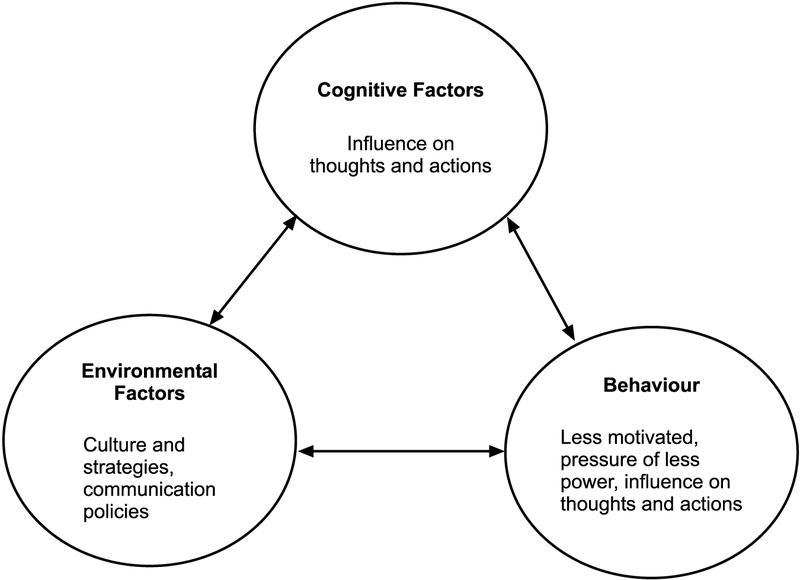 In the field of psychology, the Dunning–Kruger effect is a cognitive bias wherein people of low ability suffer from illusory superiority, mistakenly assessing their cognitive ability as greater than it is. 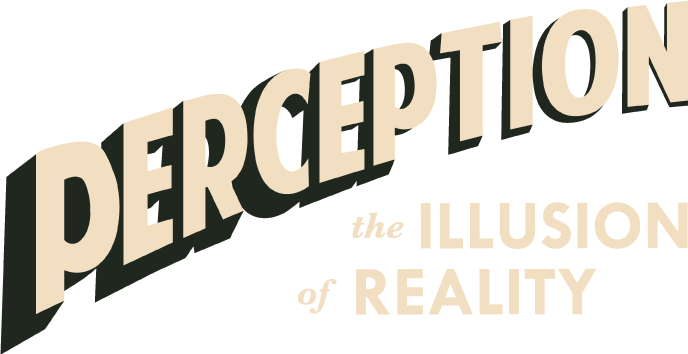 The cognitive bias of illusory superiority derives from the metacognitive inability of low-ability persons to recognize their own ineptitude. Without the self-awareness of metacognition, low-ability people cannot objectively evaluate their actual competence or incompetence. As described by social psychologists David Dunning and Justin Kruger, the cognitive bias of illusory superiority results from an internal illusion in people of low ability and from an external misperception in people of high ability; that is, "the miscalibration of the incompetent stems from an error about the self, whereas the miscalibration of the highly competent stems from an error about others. Hence, the corollary to the Dunning–Kruger effect indicates that persons of high ability tend to underestimate their relative competence and erroneously presume that tasks that are easy for them to perform are also easy for other people to perform. 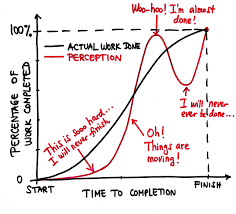 The irony of the Dunning-Kruger Effect is that, the knowledge and intelligence that are required to be good at a task are often the same qualities needed to recognize that one is not good at that task, and if one lacks such knowledge and intelligence, one remains ignorant that one is not good at that task. 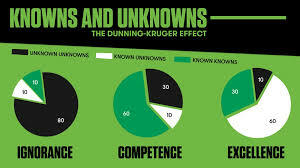 You must have dealt with people who are overconfident and cocky but can't provide results, and they’re not only clueless that their performance stinks but they’re confident that their performance is good, you likely saw the Dunning-Kruger Effect in action. 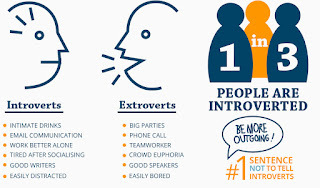 In a survey conducted a while back more than 30,000 employees answered dozens of workplace questions, including “I know whether my performance is where it should be.” And frighteningly, only 29% of employees say they “always” know whether their performance is where it should be. Meanwhile, a whopping 36% say they “Never” or “Rarely” know. 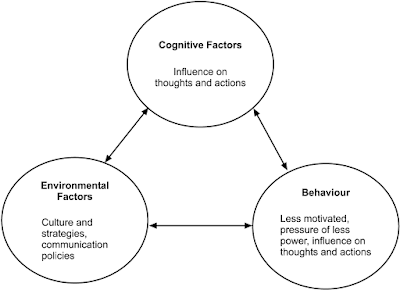 Perhaps before we blame our employees for being so susceptible to the Dunning-Kruger Effect, we ought to look at our leadership skills and ask if we’ve fomented, or at least aided, this particular cognitive bias. It's so easy to judge other people, isn't it? Everyone does it but in truth, though, the Dunning-Kruger effect leaves no brain unscathed: you do it, and you don't know you do it. As knowledgeable as you think you are in many areas, there are always areas you don't know about, but think you do. If that leaves you feeling uneasy, Dunning has some words of comfort: "Over the years, I've become convinced of one key, overarching fact about the ignorant mind. One should not think of it as uninformed. 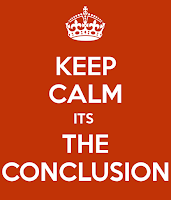 Rather, one should think of it as misinformed." That is, an ignorant mind isn't empty; rather, it's full of the wrong information. 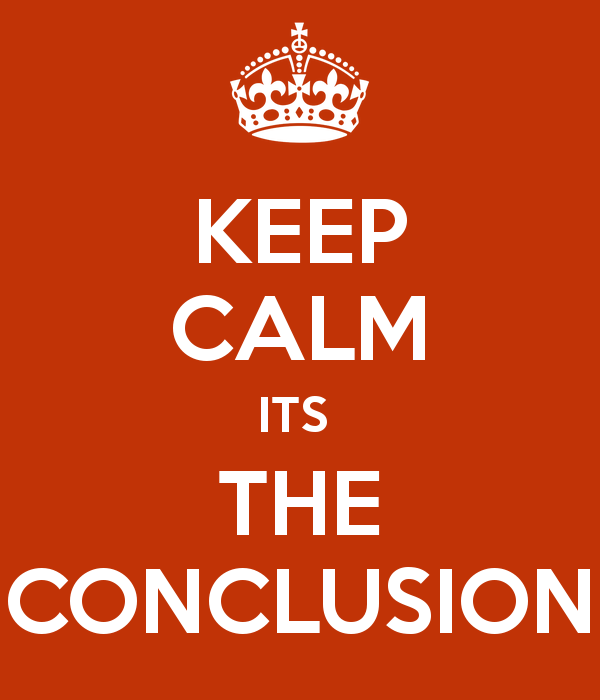 Still, it's the only information you have, so you rely on it as if it's, well, reliable. Author's Comment: To overcome this, be your own devil's advocate. Ask yourself how you might be mistaken, or how your expectations might turn out to be wrong. Don't assume you know, be a critic of the information you've got. Now, here is a video to help you understand this better. 1. Firstly, you have to accept you are crazy or put on an act, then also pretend to rehabilitate and agree to their stupid sleep schedules, food intake, and medication prescribed. The doctors believe everyone is crazy but them, and nothing is seen as ‘normal’ behaviour in a psych ward. Even if you think you’re normal, they will convince you otherwise. You spend time in a mental hospital and see the patients disagreeing with their parents beliefs and values. You will find these people as totally normal, but the doctors thought otherwise. After a few weeks these seemingly normal people became suicidal and questioned everything about their existence after being told they needed meds and if they wouldn’t take meds orally they would be injected. 2. Sit down and talk to someone. Submit to a mental battery of tests until someone with incharge is convinced. I'm agonizingly realistic. So it wouldn't take long. 3. You'd have to play the long game. If you say you're crazy they'll believe you, if you say you're not, they won't. Basically, figure out why you're there and then try to seem normal. Befriend the orderlies and staff and when the time comes admit that when you were admitted you were ill, but now you're better. If you try to deny being ill in the first place, they'll probably just keep you there. 4. Find a way to get to your files. Figure out what your initial diagnoses was and act the stereotype. Slowly act like the doctors sessions are working and appease his ego. They get to think he was right all along and him being his great self cured you so you can be released. You have an uphill battle trying to convince a doctor his initial diagnoses is wrong and doing so is an attack on his ability to do his job. Getting to your files is very important as there is a good chance they will lie about your diagnoses if asked. Why it is irrational and unnecessary to live in fear of disapproval and criticism? 2.It is the best to give up your own interests in order to please others. 3.I need other people's approval in order to be happy. Now if you do a logical analysis on why the fear of criticism and approval is unnecessary and irrational , we can overcome this fear. 1.Remember that when someone reacts negatively to you, it may be his or her irrational thinking that is at the heart of the disapproval. 2.If the criticism is valid , this need not destroy you.You can pinpoint the error and take steps to correct it.You can learn from your mistakes, and you don't have to be ashamed of them.If you are human , you should and must make mistakes at times. 3.If you have goofed up , it does not follow that you are a BORN LOSER.It is impossible to be wrong all the time or even most of the time.Think about the thousands of things you have done right in your life!Furthermore you can change and grow. 4.Other people cannot judge your worth as a human being, only the validity or merit of specific things you do or say. 5.Everyone will judge you differently no matter how well you do or how badly you might behave.Disapproval cannot spread like wildfire, and one rejection cannot lead to a never ending series of rejections.So even if worse comes to worst and you do get rejected by someone, you can't end up totally alone. 6.Disapproval and criticism are usually uncomfortable, but the discomfort will pass.Stop moping.Get involved in an activity you've enjoyed in the past even though you feel certain it's absolutely pointlless to start. 7.Criticism and disapproval can upset you only to the extent that you "buy into" the accusations being brought against you. 8.Disapproval is rarely permanent.It doesn't follow that your relationship with the person who disapproves of you will necessarily end with you just because you are being criticized .Arguments are a part of living , and in the majority of cases you can come to a common understanding later on. 9.If you are criticizing someone else,it doesn't make that person totally bad.Why give another individual the power and right to judge you? We're all just human beings , not Supreme Court justices .Don't magnify other people until they are larger than life.